The machine cost and the installation charges will be met by the KMRL while the private buses have to pay only service charges. The ‘AIS-140’ is a set of standards published by Automotive Research Asso-ciation of India (ARAI) for vehicle tracking, camera surveillance and emergency request button. Kochi: The project to install GPS-based Bus Tracking system on city private buses will get delayed further as the Kochi Metro Rail Ltd (KMRL) is forced to refit devices installed in the wake of the Centre’s directive to use only Automotive Industry Standard-140 (AIS-140) compliant GPS tracking machines. “The new directive is a Herculean task. The work done so far has gone waste, not to mention the sizeable expense incurred in the process. 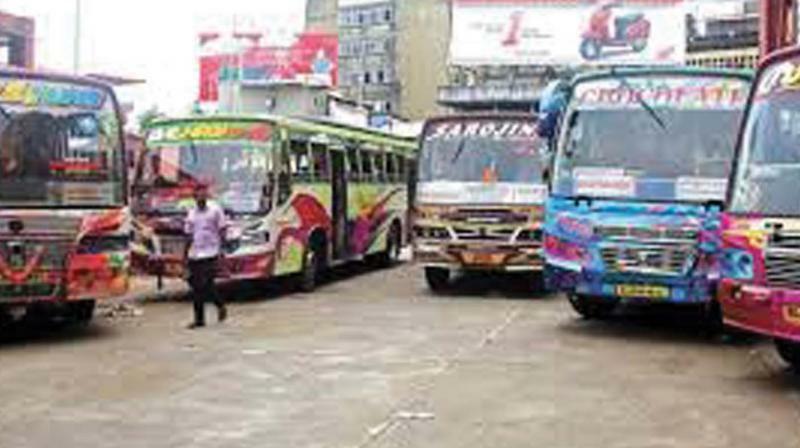 They should have got in touch with authorities and waited for the new stipulations to come into force,” said a private bus owner. The development comes at a time when the KMRL had fitted Global Positioning System (GPS) devices in nearly 900 out of the total 1,000 buses. “It took over four months to fit them at nights without affecting operations. Now the whole process has to be done again which may take another four months,” said M.B. Satyan of the District Private Bus Operators Federation. However, KMRL sources claimed it won’t incur any loss, including machine cost and installation charges, as per the agreement signed with the GPS machine dealer. “The company (to which the contract was issued) is already in the list of approved GPS tracking machine manufacturers. As per the agreement, it was contractor’s responsibility to replace the machines in the event of the government enforcing compliance of strict guidelines. The same will come into force only by April 2019 and we’re confident of replacing the machines by then,” the sources said. The ‘AIS-140’ is a set of standards published by Automotive Research Asso-ciation of India (ARAI) for vehicle tracking, camera surveillance and emergency request button. This mandate is in line with the Ministry of Road Transport and Highways notification dated November 28, 2016. With installation of GPS machines, KMRL aims to give passengers live tracking of buses, including destination, expected time of arrival and journey status on ‘Journey Planner’ app.